I just replaced the action brackets on a weber grand from 1990’s. As mentioned before in MPT convention it was discovered that the action brackets were swelling due to a poor alloy mixture during the manufacturing process. and you can not regulate that out of it. By advice from MPT Pres. Jack Hamiliton, I called Young Chang and they confirmed the serial number and sent me brackets free. If you come to a grand piano from young chang or weber from the 90’s with out of wack weird regulation, before you regulate the heck out of the piano, check with mfg to see if the brackets are at fault. The alloy was mixed wrong and it causes swelling over time. This knowledge saved me hours of work and the job paid very well. I took video of my entire process which included relocating screws for the center brackets on the action frame (which took the longest of the steps in the process) I will try to post some video on our blog later. This piano was checking so bad and the jacks were not lined up at all. In fact, it looked like someone messed up the entire regulation but the customer had no previous action work done and was the only owner. Warping of this kind is such a freak type that many techs can’t even believe it but it is true. This knowledge was discovered and shared at an MPT convention in past years. When you encounter a problem and can not see the solution, you can inquire with MPT members and network to find a quick and solid answer. This is one great reason to be affiliated with MPT, the things you learn and can accomplish are so much greater in a group of such skilled and accomplished technicians. Once the new brackets were installed, I had to regulate the basics and the piano plays great now. I admit it was a bit scary to me as a young technician to undertake this project for my customer but I have the backing of the greatest techs in the country with the MPT. Thanks to Jack Hamilton who had the knowledge right away and shared it with me so that I could accomplish this job. Just remember: when you turn on the heat in the winter, and when you turn it off in spring, you’re about 2 weeks away from needing a tuning. These are the times of year when the humidity change starts to shrink or swell the wooden structure of the piano, and it starts to drift out of tune. So wait until the room your piano is in gets used to the climate change, then tune your piano! How often you should tune your piano depends on its condition, the environment in which it is located, and the musical demands of the owner. A piano used mainly as a furniture piece probably won’t “need” to be tuned more than once a year. A piano that is played regularly and is in good condition would be better off with 2 tunings per year, each time the seasonal humidity changes. A piano given a daily workout by a professional or serious student might need to be tuned more frequently, maybe 4 times a year or more. At this level of use, it’s really up to the individual and at what point the tuning starts to bother them. Should you invest in goood piano to just have an old junker??? This may help you decide on investing on a good piano before purchasing a really old bad one for cheap. Thirty years ago I was working at a piano store in Dallas. A man drove up and parked his Lincoln Mark IV – or whatever number it was then – and came in the store. He said he needed to find a “practice piano” for his son to use as he started piano lessons. The store didn’t carry any old beaters then so the salesman (who had nothing to lose) said “you mean you’ll drive up in a top-of-the-line car and ask about a $125 piano for your son?” The man was taken aback a bit and the salesman sold him a pretty decent piano! I think this is an important point to make. Explain to the parents that any instrument will either lead a student on, or hold them back. Learning to play piano means acquiring fine motor skills over the hands and fingers. Bring a stack of nickels and demonstrate the difference in downweight on each key. Just like going down basement steps where the last step is 1″ shorter (or taller), small differences in resistance make smooth play impossible. Show the difference in letoff, note to note, and the raggedy dampers. If the teacher would have trouble performing on this piano, how much harder will it be for the student? student plays on the teacher’s piano, comes home and it sounds lousy. blame themselves, of course, and get frustrated. Would you let a student driver have grandma’s old car, with play in the steering, brakes you have to pump, a slipping clutch, and an emergency brake that needs adjustment? Of course not. Think the other way. 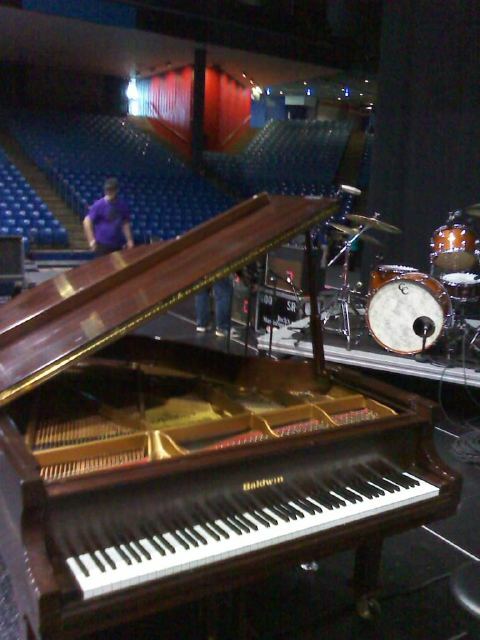 Think about who invested money in that piano when it was new. Think about how many years of pleasure have been given to perhaps more than one family during its, say, 25 years of functional life. pianos have parts designed to wear out, like tires, belts, and hoses. 1964 Rambler American was an entry-level car when new, would you spend $5,000 to fix it up today? Does every five-year-old need a concert grand to learn on? Of course not. But what if they had one at home? Would it make a difference? Why not rent a decent piano until both parent and child have a sense of what a good piano is like? Get a good piano technician. Like a house or a car, understand that you are going to have to spend a certain amount of money on an ongoing basis to tune, regulate, clean and take care of your piano. This is called routine piano maintenance. Without this care, the best piano will be sub par and potentially at risk to being damaged. Looking for the cheapest rate from a piano tuner is pennywise and pound foolish. Your technician is your only safeguard against potential damage and wear and tear of your instrument. If you tell a tuner that you want a certain cheap rate, all you are really doing is shortchanging yourself and fooling yourself into thinking that you are getting more for less. The chances are you are getting less for less.